In our brand new premises everything is set up for a successful conference. 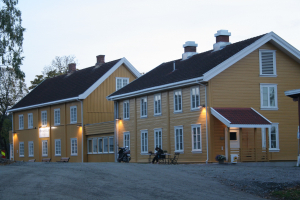 Granavolden Gjæstgiveri is the perfect setting for parties and celebrations. In our pleasant premises, which reflect both modernity and tradition, everything is just right to make your celebrations special. Granavolden Guesthouse is open to both accommodation and meals throughout the summer. Our cafe is open at 10 -18.